In the winter of 2013, Frans was diagnosed with celiac disease. Previous to this, he had been undergoing a decade of testing by numerous doctors and specialists to identify the cause of his worsening fatigue and overall health. Things continually got worse and we had to persevere in figuring out what was going on. Originally, possible ailments included Meniere’s disease and Chronic Fatigue Syndrome. Treatments for both did nothing, just like all the other suggested remedies for energy from friends and family. Frans would come home from work and sleep. After getting up for dinner, he’d head back to bed and sleep again. His early thirties seemed liked an ongoing series of naps. Additionally, he was getting a lot of joint pain, having brain fog, dealing with stomach issues, and experiencing dizziness. Not nice. Thinking that this was all connected to some auto-immune problem, my husband decided to see the allergy specialist and get tested. If he was allergic to anything, surely that wasn’t helping. Aside from his known birch tree and dust allergies, nothing else showed up positive in his tests, not even wheat. However, he doctor also ordered a blood test. That was the kicker. Frans’ gluten levels were through the roof! It was official, he had celiac disease (on-going autoimmune disorder, different than gluten intolerance or a gluten allergy). It all made sense now. 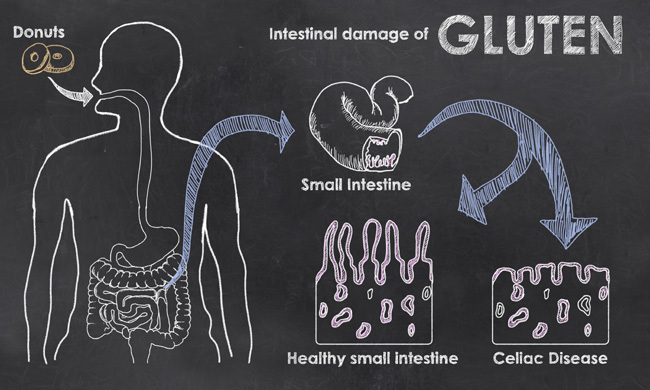 For those with celiac, their intestines attack gluten and prevent any vitamins from being absorbed into the body. No wonder he was always feeling so weak – he wasn’t getting any nutrients from the food he ate. Frans practically lived on bread. If you know anything about how Dutch people in the Netherlands eat, then you understand that they almost breathe bread since they eat it for breakfast, lunch, and dinner. Also, I would make Frans a sandwich practically everyday for work and often cook pasta for dinner. All these years I was unintentionally poisoning my husband! So what happened next? Obviously, the first step was for Frans to stop eating anything with gluten in it. After just one week of going gluten free, Frans improved dramatically. The flu-like symptoms (minus the congestion and fevers) were subsiding and he was staring to feel better. Getting gluten out of his diet was not easy though. You’ll have to read part two to find out what I mean. 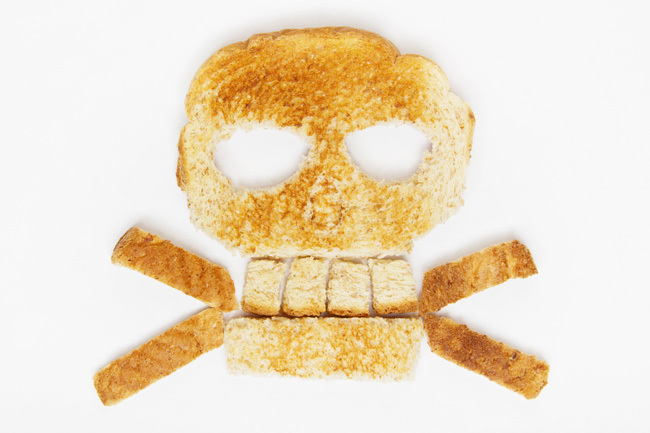 Do you know anyone who suffers from celiac disease? It must have been so challenging for him to give up gluten. 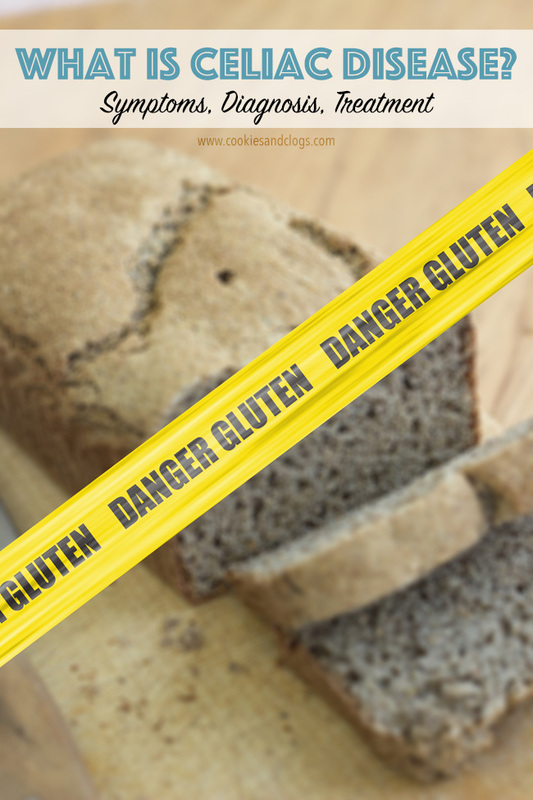 I don’t know anyone with Celiac Disease, but I’m hopeful that it becomes easier for those with the illness since gluten-free options are more readily available. Thanks for this interesting article. I’ve heard of celiac disease, but I never knew exactly how it worked. Yes, one of my good friends is celiac and iI’ve learned so much through her. I know she finds eating out so frustrating, you think by now just ONE restaurant or fast food place would offer gluten free breads! As a nurse I am aware of the devastating effects of undiagnosed Ciliac Disease. I am so glad your poor husband was able to finally receive a diagnosis, With diet changes, hopefully he will start to feel increasingly better! I have always wondered what Celiac Disease is! What an informative post!